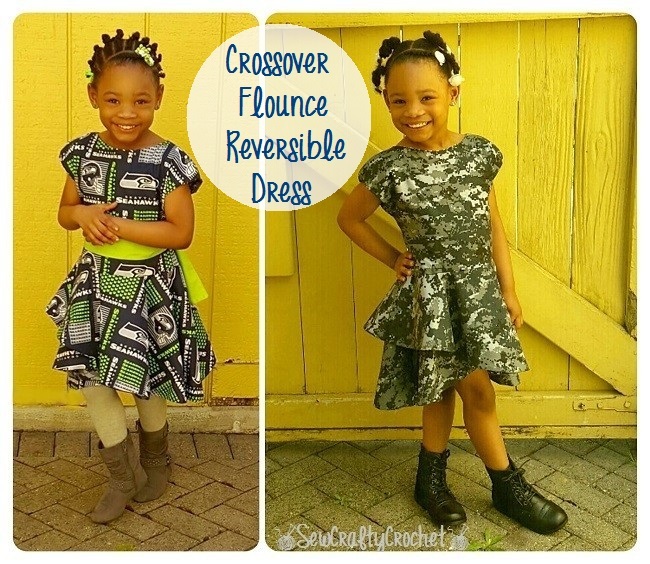 Crossover Flounce Reversible Dress: This dress has to be my favorite sewing creation ever! I was a pattern tester for Call Ajaire, and I'm so glad that I was able to make this versatile and cute dress! I made it with my favorite 💙Seahawks💚 fabric and navy camo fabric. My daughter loves twirling in her dress, and there are so many different styling options. She wore it to school a couple weeks ago on Sports Team Day, and since it was chilly, she wore a long blue cardigan, gray tights, and navy boots with it. 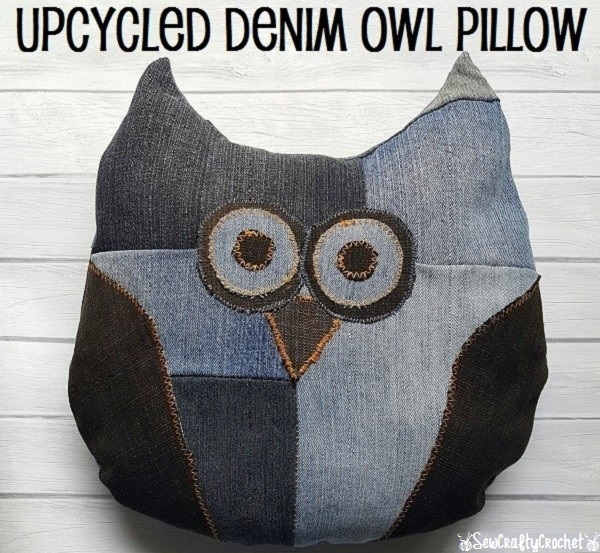 Upcycled Denim Owl Pillow: I love creating patchwork denim looks. I've made many owl pillows, but this one is my favorite. It's currently in the kids' playroom, and I love seeing them snuggle with it when they take naps. 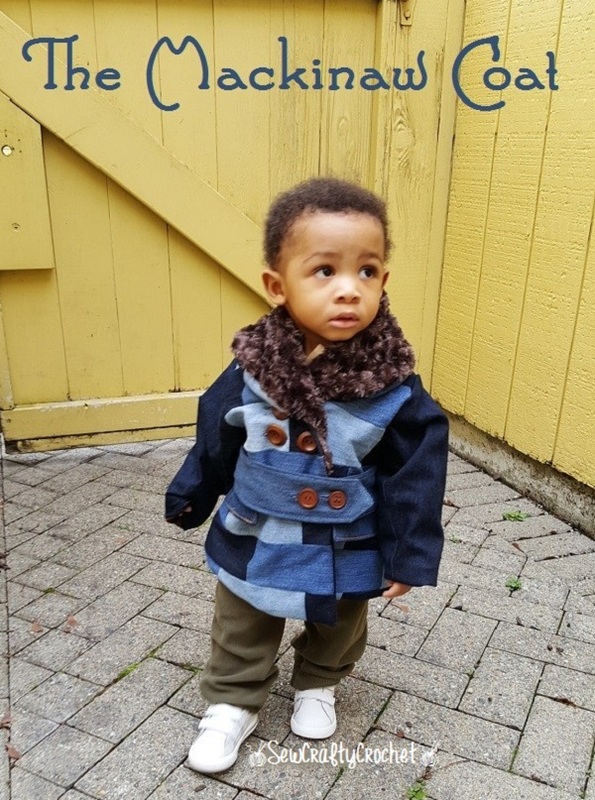 Denim Patchwork Mackinaw Coat: I made this denim coat as a pattern tester for Call Ajaire. I'll admit that I had some moments where I wanted to quit, but I'm so glad I didn't. I love this patchwork coat. 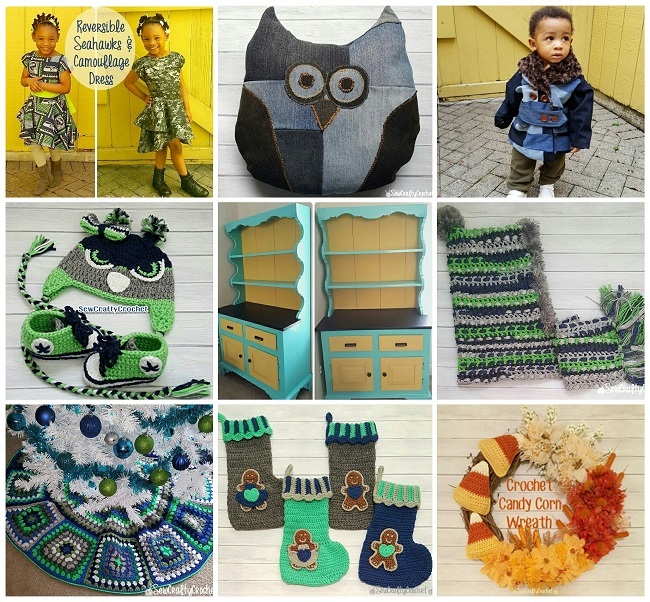 I just love denim patchwork. And the fur collar! Ajaire has some amazing patterns. Antique Hutch Makeover: Every now and then, I like to give a piece of old furniture a makeover. This gloomy black hutch was in the kid's playroom, and I felt like it really needed some color to brighten up the room and life! So I went with aqua blue, maize yellow, and a little black chalkboard paint. 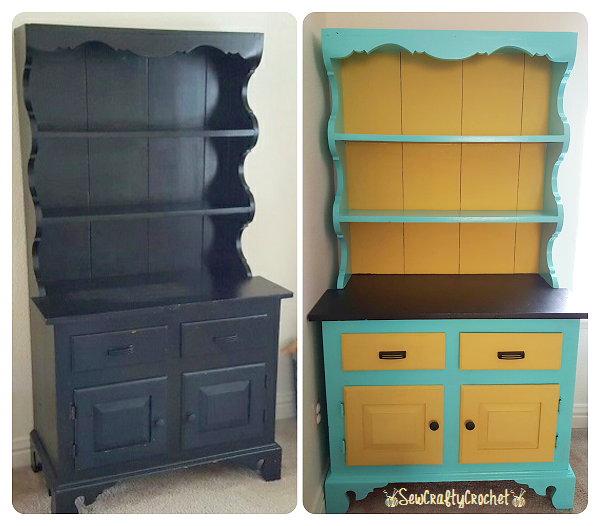 This is one of my favorite furniture makeovers ever! 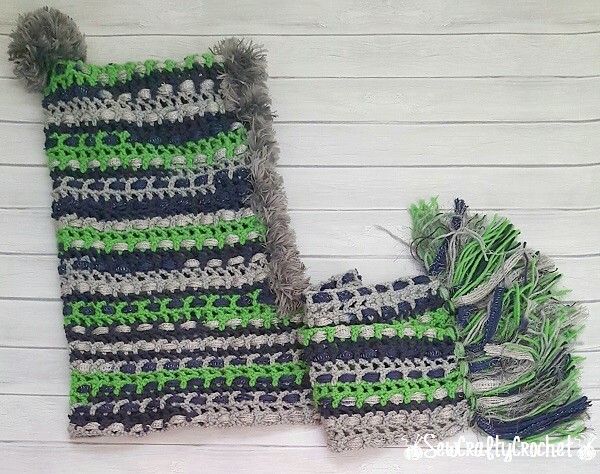 Hooded Scarf in 💙Seahawks💚 Colors: I love making hooded scarves, and this one is my favorite hooded scarf to date. 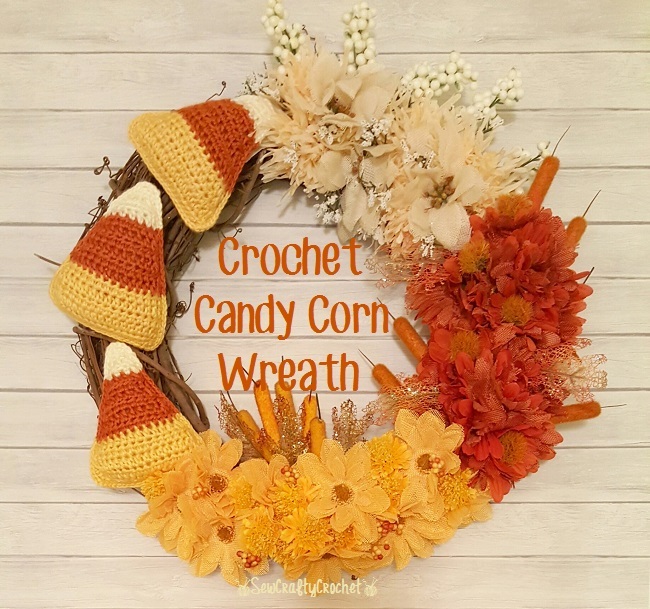 A part of me was sad when someone bought it at the craft fair, but it's a good thing it sold. 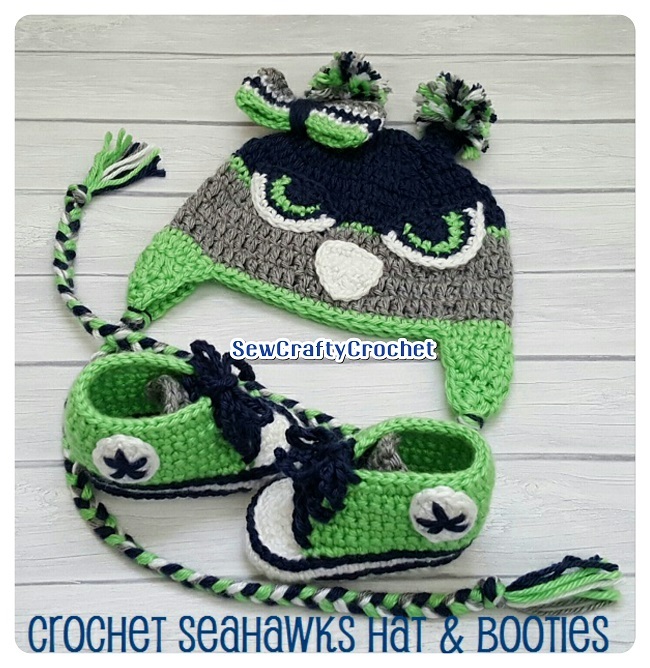 I was so surprised that the lady who bought it isn't even a 💙Seahawks💚 fan! She's a Patriots fan! Anyhoo, I'll make another scarf like this one just for me. 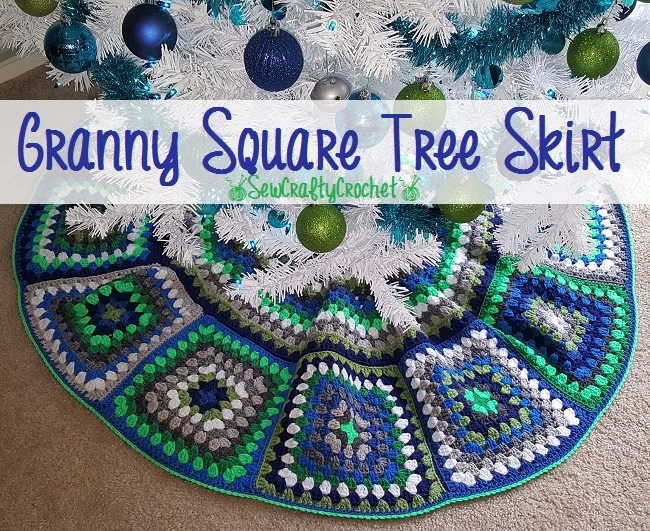 Granny Tree Skirt: I made this tree skirt in 💙Seahawks💚 colors to go with our 💙Seahawks💚 themed Christmas tree. 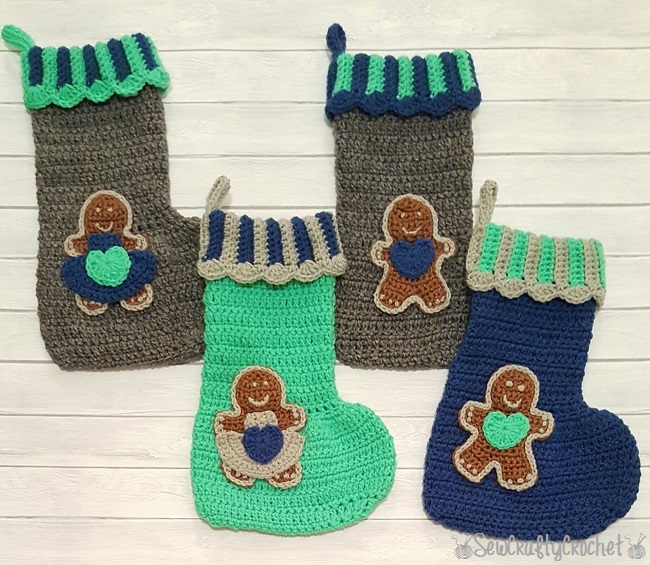 I found some really cute 💙Seahawks💚 Christmas ornaments online, so I felt that our tree was official. 😉 Anyhoo, the granny tree skirt was super fun to make, and I can't wait to use it again next Christmas.